As anyone used to late-night emails knows, the nine-to-five workday is a thing of the past. 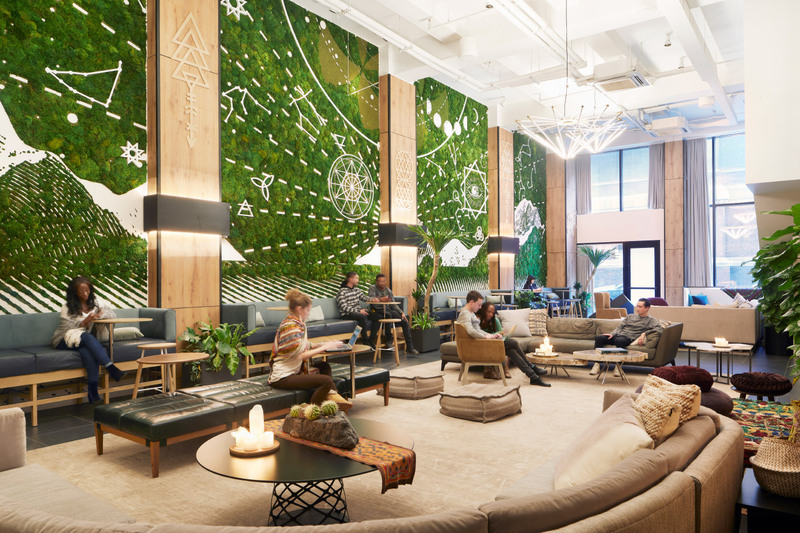 But while innovative companies have traded cubicles for open, flexible office plans, people are seeking even more elastic social spaces that foster wellness and connection—both in the office and out. Consider them an updated version of the “third space,” common areas where people go to unplug, reenergize, and decompress. “When we first got involved in workplace in the ’90s, our interest was, ‘How can design contribute to creative communities?’” said architect Clive Wilkinson, whose Los Angeles firm has designed the interiors of the Googleplex campus and offices for other leaders in tech and media. “We were in a prehistoric era when cubicle farms still ruled. 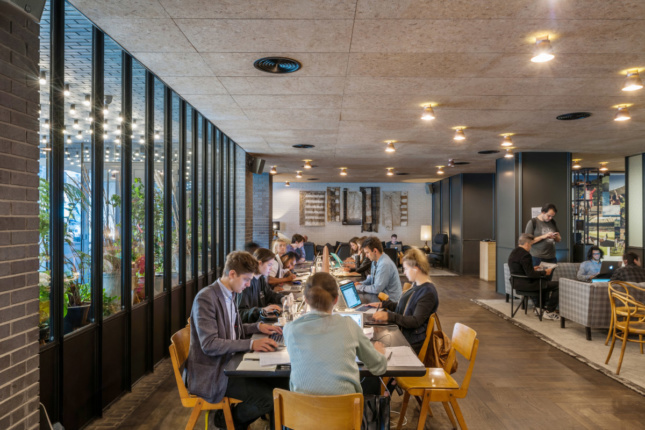 We’ve come so far since then,” he continued, citing the shift from the afterthought coffee rooms of the 1980s to the “Starbucks workplace” of today’s laptops-and-lattes company cafes. “A large part of the social space in the workplace today is somewhere between a boutique hotel and your home,” Wilkinson explained. “Depending on the type of client, it can go more one direction or the other.” The aesthetic shift is due in part to the influence of designers like Philippe Starck, whose hospitality designs brought a glamorized domestic environment into public spaces, but it’s also a result of the premium put on today’s knowledge workers, noted Wilkinson, who is writing a history of offices tentatively titled The Theater of Work (Frame Publishers). In one of his firm’s current projects, a new headquarters for Utah bedding-manufacturing company Malouf, an entire building will be designated for nonwork areas, including an Olympic-size swimming pool, barbershop, and spa. It’s not just in the office where people are feeling the change in work culture. 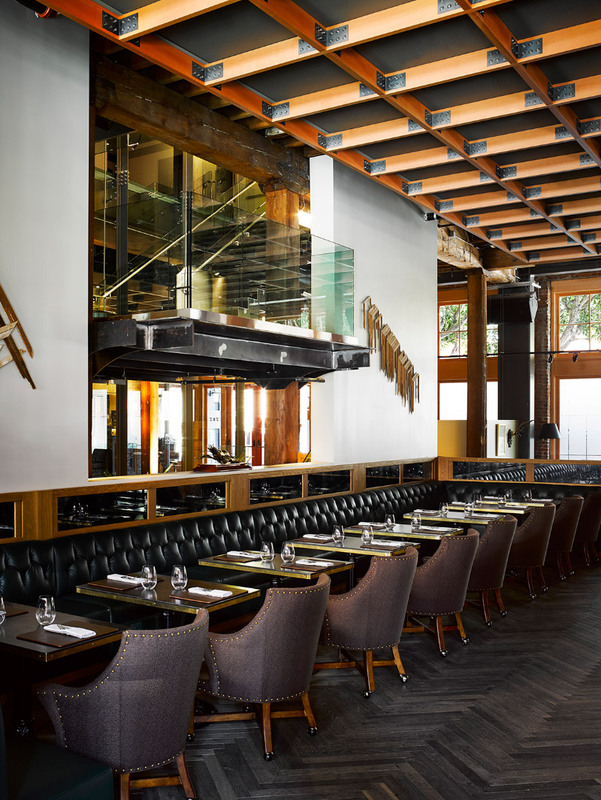 “There’s a real flattening now between what is considered work with a capital ‘W’ and all the other side projects that people are interested in,” said Richard McConkey, an associate director at Universal Design Studio (UDS). “There’s not such a clear division between work, home, life, cultural projects, and hobbies anymore; that’s why all these multifunctional spaces are occurring.” UDS has developed on a number of projects that blur the lines of live-work-play, including MINI Living, the car brand’s Shanghai entry into the coliving concept of small private spaces surrounding shared semipublic spaces. 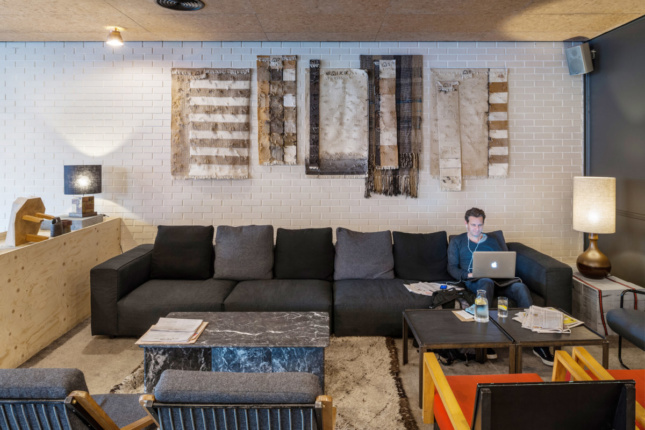 But the UDS project that perhaps best represents the growing thirst for gathering is London’s Ace Hotel, the lobby of which has been called one of the city’s most popular coworking spots, although it isn’t officially one at all. 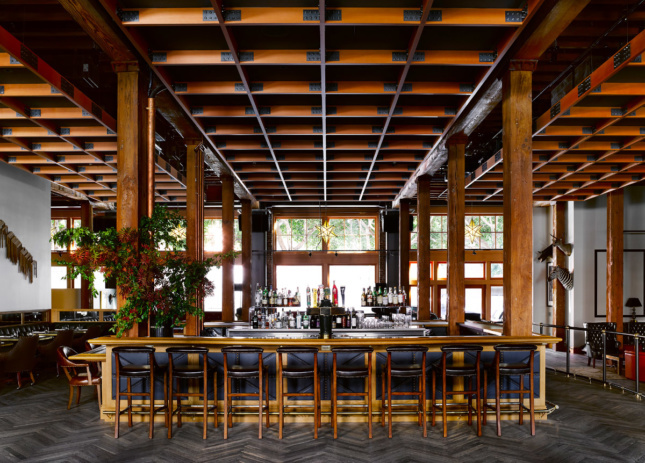 Ian Schrager’s Public hotel in New York is similar in attracting nonguests to spend their days there, usually with laptop or phone in hand, even during off-business hours. To bring that energy back to the workplace, Hanley’s firm has created game rooms and social hubs—it even has a speakeasy in the works for a client. But while the ping-pong tables of the past may have been a distraction, today’s game rooms, cafes, and bars are reflections of a company mission. “Work is happening even in these ancillary spaces. These third spaces we’re creating are in support of the company’s bottom line,” Hanley said. So what advice would she give to a prospective client? That’s why, from Silicon Valley to Shanghai, there’s a new crop of businesses catering to the need for a retreat somewhere between work and home. Beyond the traditional barbershop, clubhouse, or nail salon, these next-gen spaces tap into the growing wellness trend: Chillhouse, a monthly membership spa in New York, offers massages and manicures in an Instagram-friendly space focused on self-care; Nap York allows visitors to catch a snooze on an Airweave mattress for $10 a half hour. Then there’s Calm City, the roving meditation studio in a renovated RV, founded by Kristin Westbrook. 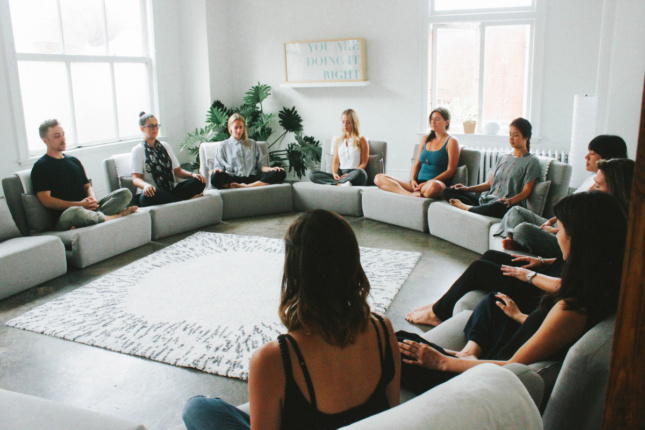 An avid meditator who had trouble finding a private place at her hectic Rockefeller Center office, Westbrook was inspired by the food truck trend to create an oasis of calm for stressed-out New Yorkers located just outside their offices. “I’ve always wanted a Superman’s phone booth on every corner, a pod that you could go jump in and be transformed,” Westbrook said. That break can be a crucial antidote to the stresses of the day. The relationship between work and life can be even more blurred in spaces that blend the two like never before. 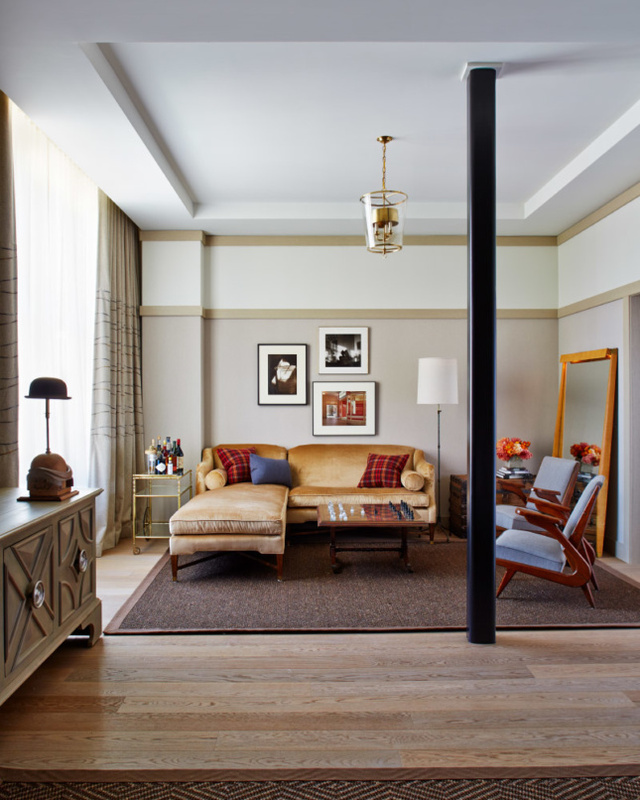 Take New York coliving and coworking space The Assemblage, which has two addresses in Manhattan (and a third on the way), as well as The Sanctuary, a retreat center outside Bethel, New York, near the site of the 1969 Woodstock festival. 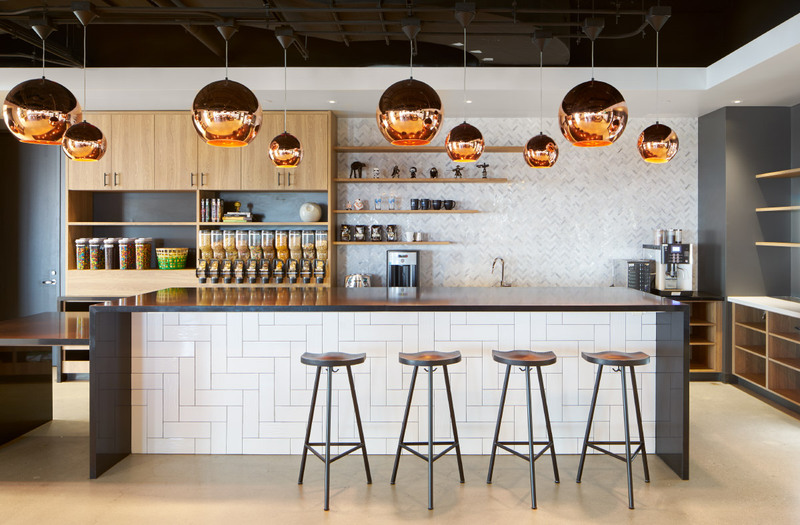 Though workspace is at the core of The Assemblage’s offerings, the company encourages members to get out of their offices and connect over communal breakfasts and lunches. 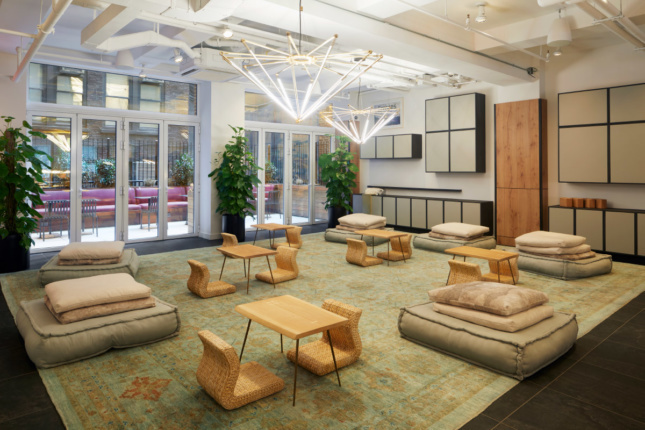 It also features “intention altars” and offers wellness programming like meditation, breathwork, and yoga, “all under one roof, so that individuals can experience this fluid living/working and balanced lifestyle,” wrote Magdalena Sartori, the company’s chief creative officer. “Erasing that distinction between work and life empowers individuals to create their own schedule and lifestyle,” she added. But as we trade the typical greige workplace environment for a more holistic, humanistic approach, are we simply going farther down a work-obsessed rabbit hole from which you can never clock out? When even the workplace pretends to be a third space, one filled with simulacra of the outside world, are we worse off than we were before? Maybe not. If the offices from the Industrial Revolution to the year 2000 were “rehistoric,” as Clive Wilkinson put it, how will people look back at the way we work today—with increasing flexibility to break away from our desks—100 years from now?